We´ve done reviews on where to get the best coffee or hot chocolate, but what goes best with a cup of joe? Yes, a sticky bun or a delicious pastry. Here at FeelNYC we have been round the city trying out bakeries in order to come up with the 3 best places to indulge in some Danish goodness! More widely known in the area for their grilles cheese sandwhiches, The Queens also makes a mean pecan sticky bun, perfect for the morning with a cup of their freshly made coffee! Located between Clinton Hill and Bed-Stuy is the sweetest little vegan shop around. Their cinnamon rolls are to die for! The perfect place for anyone with allergies thanks to their gluten free options. Located in the east village, Croissanteria has a wide selection of pastries and buns for whatever your mood. Perfect for the morning with an espresso. They also offer lunch time croissants with various fillings. With this short guide from FeelNYC you should have no problems finding the perfect snack to go with your morning coffee! FeelNYC solves all your sight-seeing problems with a guide to the best helicopter tours in NYC. Walking around New York City, you can´t help feeling utterly overwhelmed by the sheer size of everything, sometimes not being able to full appreciate the beauty of the city. One of the best ways to marvel at the city is from the air. Here at FeelNYC we have come up with a short guide to the best helicopter tours along with a selection of spectacular images captured from the air. Embark on the ultimate helicopter tour over the city, viewing the Statue of Liberty, Chrysler Building, Empire State, Central Park, Yankee Stadium and many other famous landmarks in a way that’s impossible from the ground. Start off by flying down the Hudson River toward the harbour and soak in that wonderful magic that the city possesses! In this slightly shorter tour you will see all of the famous landmarks with equal effect. Starting at the Downtown Heliport your flight will start with a view of the world trade centre, Battery Park, the Empire State etc. Private tour: Manhattan heli tour. Take a private tour in an exclusive craft, flying over Central Park, the Empire State and getting so close to the Statue of Liberty that you can almost touch it. Perfect for weddings, birthdays, anniversaries or just for a special night out this tour allows intimacy and privacy of the highest order. Downtown Heliport, New York. Prices from $248.75 pp. There really is no better way to see the city than from the air and thanks to this guide from FeelNYC, you should have no problems finding a tour that suits you! Now everyone knows that New York is famed for its bagels, it´s an iconic bread that is sold all over the world. However, there is nowhere better in the world to get a bagel than from in the City, more precisely Brooklyn. 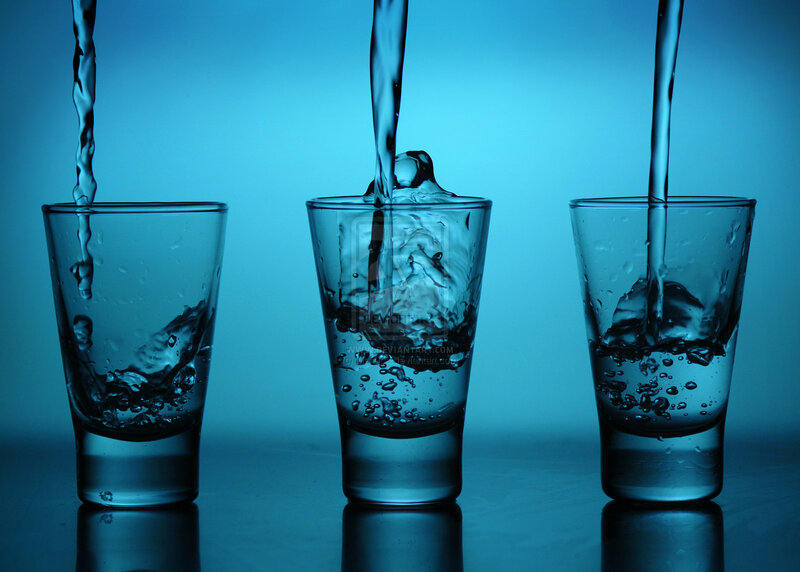 Here at FeelNYC, we know that as a tourist coming to the city it can be overwhelming with the amount of choice and not knowing where is good, and where quite frankly isn´t. Hence, we´ve been round Brooklyn testing numerous bagel shops in order to compile a list of what we think are the top 5- don´t thank us, we enjoyed it! The superb bagels that are being produced by Bagel hole are becoming more well known by the day for the perfectly crunchy crust, yet beautifully soft interior packed with flavor. All bagels are freshly baked on the premises throughout the day- you can even grab a fresh one in the evening. This full service deli goes further than the normal butter or cream cheese, making it a long standing favorite. Whatever filling you want, they´ve got it- even on sandwiches too if you fancy. They also stay open 24hrs on Fridays and Saturdays for the late night crowd! 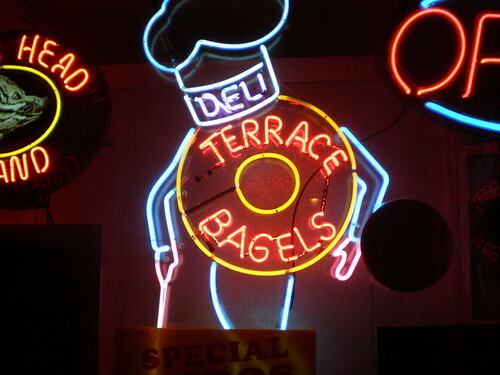 Another renowned, undisputed bagel house in NYC is Terrace Bagels. Although the crust may be a little chewier than others, they compensate in size; the perfectly rolled bagels are so good, there´s barely a hole! They also have a wide selection of sweets so make sure you don´t fill yourself up! Montreal has always claimed that they make better bagels than NYC. We´re not sure who´s are better; however these Quebecoise imported bagels are definitely worth trying! Slightly sweeter and thinner than the traditional NYC bagel and imported from the famed St. Viateur, these bagels are the perfect way to start your day! 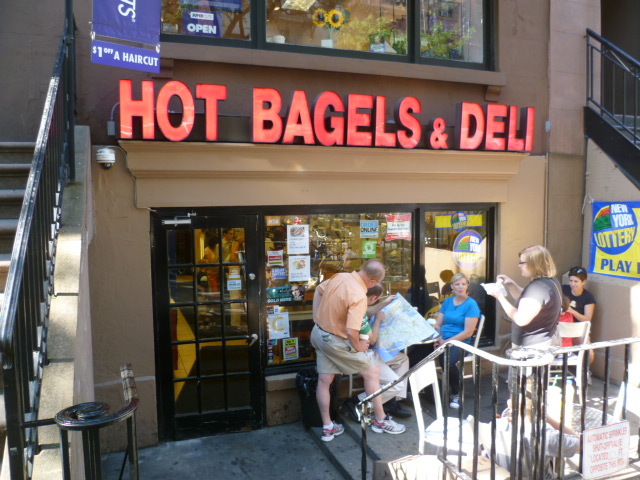 This little bagel house is tucked away amongst Brooklyn Heights´ brownstones. 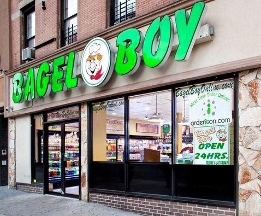 Staying open 24hrs, producing fresh bagels throughout draws a constant stream of custom. Promise you won´t be disappointed! Hopefully with this brief guide from FeelNYC to the best Bagels in Brooklyn, you´ll have no complaints that you stopped at a lesser shop than the ones we have advised! 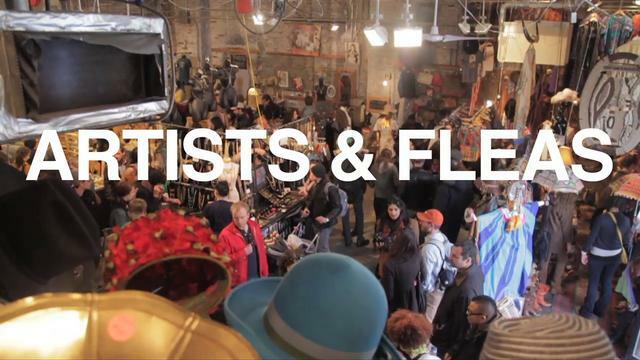 With the financial problems being experienced by much of the world and the main attractions in NYC being expensive to say the least, we at FeelNYC provide you with a review of the best free things to do in the big apple. Probably one of the most famous things to do in New York is to visit Central Park. Like most parks it is free to enter however most parks aren´t Central Park. The park is full of free events, street performers, human statues and pretty much anything else you can think of. 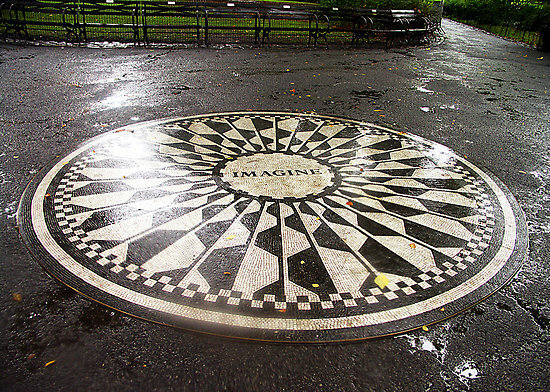 There is also an “imagine” mosaic where John Lenon was killed in 1980 which is worth visiting. After walking round the park, quench your thirst with a visit to Brooklyn breweries with free tours that run on the hour from 1-5 on Saturdays and 1-4 on Sundays. 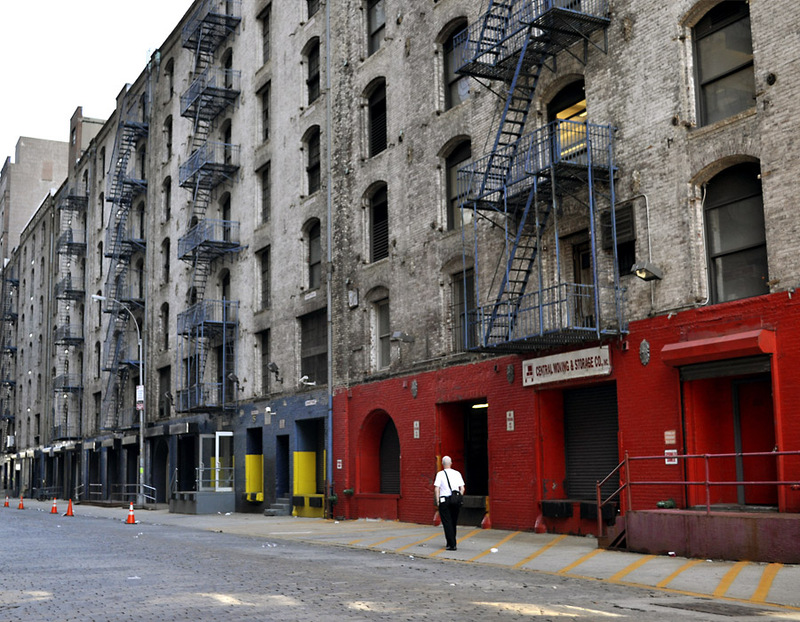 The brewery can be found at 79 N 11th St, Williamsburg, Brooklyn. If seeing some of New York´s finest art is on your wish list, try visiting the Chelsea galleries; the most concentrated group of art galleries in the city found in the 20s Streets between 10th and 11th Avenues. For an even better experience, try going on a Thursday when they have wine and cheese openings. 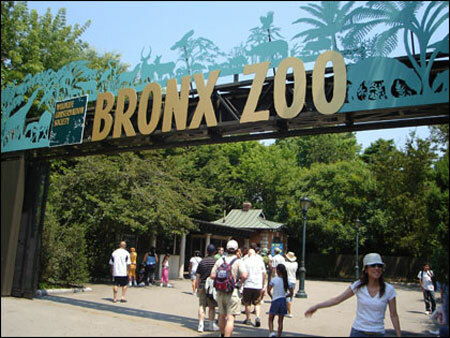 If animals is more your thing why not visit the Bronx zoo on a Wednesday. They offer a “pay what you wish” policy. Obviously they expect a small donation but this seems a small price to pay to visit the country´s biggest and oldest zoo. The only complaint you might have is that your kids won´t want to leave!